The Midwestern state of Indiana is primarily famous for its Indianapolis 500 auto race. However, a little scratching below the surface will reveal many interesting cities and small towns which boast excellent cultural, historical and recreational facilities. Starting in the north on the shores of Lake Michigan you will find the Indiana Dunes National Lakeshore, home to some wonderful beaches where you can soak up the sun and enjoy miles of hiking and biking trails. Heed the call of the Great Outdoors and plan your next vacation in Brown County Indiana, where you will find a perfect mix of wonderful outdoor activities and quirky shops, studios and galleries. Outdoor adventures abound - Brown Country State Park, Hoosier National Forest and Yellowwood State Forest all vie for your attention. You can try zip-lining, hiking, mountain biking, canoeing, fishing and much more. Art lovers can browse the shops and galleries in Nashville village before getting an Arts Village Brown Country map at the Visitor’s Center and setting off to find numerous local artists’ studios. Children will enjoy the Pioneer Village and Museum and everyone can see how fudge and popcorn is made at Carmel Corn Cottage – tastings are part of the fun. Located just a few minutes north of Indianapolis, Carmel is well-known for its arty vibe and great entertainment. The city hosts several annual festivals and events including the summer Carmel International Art Festival which is a must-see attraction for all art lovers. There are plenty of cultural activities to enjoy in Carmel including Symphony, Jazz and the performing arts at The Palladium and plays and comedy at The Studio and The Tarkington. Shoppers can head to Main Street or the fabulous Art and Design District, and for some exercise you can go walking, jogging or cycling the 25-mile Monon Trail or explore some of the city’s many parks and gardens. Located close to the southern shore of Lake Michigan and the Indiana Dunes, the city of Chesterton has its roots in the fur-trading industry as far back as 1650. 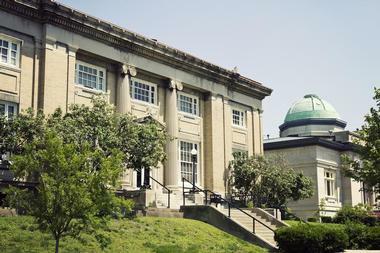 History lovers can spend some time admiring the old buildings in the Commercial Historic District or visiting the Westchester Township History Museum, located in the 1885 historic Brown Mansion. Art lovers can visit the Chesterton Art Center and admire several local galleries. However, outdoor pursuits in the wonderful Indiana Dunes State Park are Chesterton’s primary draw-card – here you can enjoy three miles of beach and over 16 miles of trails – picnic areas and campground are available. Located just 40 miles south of Indianapolis, Columbus is widely recognized as a Mecca for lovers of art and architecture. A short walk down Fifth Street (aka The Avenue of the Architects) will introduce you to some of the best examples of modern architecture in the US – Columbus is ranked right up there behind cities like Chicago, New York and Washington DC when it comes to architecture, which is amazing given the small size of this city. Around every corner you will get the chance to admire sleek buildings, a stunning garden and many outdoor art installations. 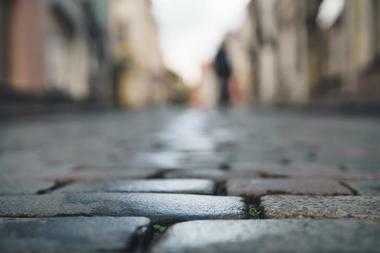 The best way to ensure you see everything is to join a guided Architecture Tour. 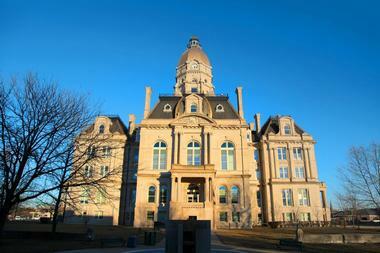 Nestled in the heart of Amish Country along the famous Heritage Trail, Elkhart is a delightful small city with many interesting attractions to offer visitors. Start your visit at the vibrant downtown area where you can visit several museums, take a guided walking tour, visit a craft brewery or just enjoy some shopping and dining. Art and history lovers can visit Ruthmere Campus, where you will learn about the history of Elkhart as you tour three historic properties. 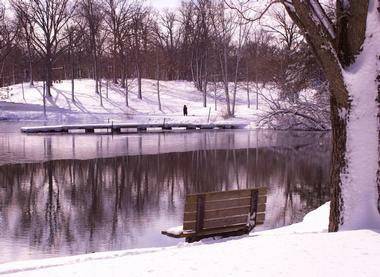 The Wellfield Botanic Gardens provide a colorful and serene escape from the city and everyone will enjoy a visit to the Nibco Water and Ice Park for skating in winter and water fun in summer. The Orange County resort town of French Lick West Baden has been welcoming new and returning visitors for over 100 years. People love visiting French Lick because there is so much to see and do – everyone in the family is guaranteed a memorable vacation. The French Lick Resort has two historic luxury hotels but there are also several less expensive options including motels, cabins, B&B’s and campsites. The list of exhilarating activities is exhausting – you can visit the year-round water park, take a ride through Hoosier National Forest on the French Lick Scenic Railroad, try zip-lining, hiking, cycling, horse-back riding and golfing in summer and a full range of snow sports in winter. The resort offers great dining, shopping, a spa, lake cruising and much more. The city of Gary is located along the south shore of Lake Michigan, just a short drive from downtown Chicago and the Indiana Dunes National Lakeshore, making it a popular weekend getaway destination. There are two Casinos located at Buffington Harbor if you enjoy gambling and there are several marinas where you can launch your boat for a day on fun on Lake Michigan. You can also arrange a charter fishing trip, rent equipment for sail boarding or wind surfing or simply relax on the beach and soak up some sun. Marquette Park is a great outdoor area which has walking trails, a beach area and a children’s playground. 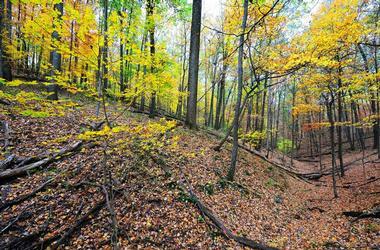 Located in southern Indiana, the massive Hoosier National Forest covers over 200,000 acres of recreational land. The forest is a popular getaway destination for active adventure seekers who come to enjoy over 260 miles of trails and many other recreational facilities. There are several campsites where you can park your RV or pitch your tent and get thoroughly back to nature for a few days. Other than hiking you can enjoy wildlife watching, horse-back riding and camping, rock climbing and many water-based activities. There are suitable areas in the forest for both motorized and non-motorized water craft and the fishing is rumored to be great. You can even take a trip through part of the forest on the French Lick Scenic Railroad. 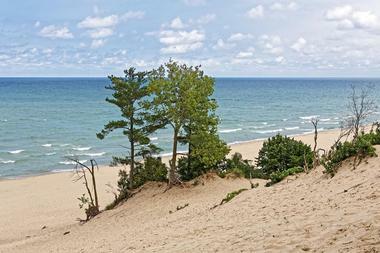 Stretching for over 15 miles along the southern-most shores of Lake Michigan, the Indiana Dunes National Lakeshore offers endless possibilities for a lakeside back-to-nature escape. Hikers can explore over 50 miles of trails which will lead you beyond the sandy beaches to uncover rugged sand dunes, wetlands and diverse habitats which provide breeding grounds for large numbers of endemic and visiting birds. It is a good idea to start your visit at the Visitor’s Center where you can pick up trail maps and get expert advice on planning your day. Camp sites are available at the Dunewood Campground – (no electrical hook-ups) and there is a wide selection of other accommodation available in the surrounding towns of Porter and Chesterton. Located along the banks of the Ohio River in Clark County, Jeffersonville is a great place to spend a few days soaking up the small-town southern Indiana atmosphere. Jeffersonville is surrounded by rolling hills and delightful rural landscapes which beckon visitor to take a scenic drive or explore on foot or by bicycle. 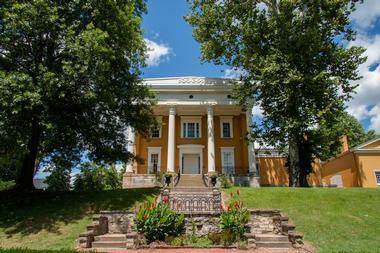 In downtown Jefferson you will find a substantial historic district lined with homes and businesses which date back to the mid to late 1800’s. Town highlights include the Big Four Bridge over the Ohio River, the Jefferson Aquatic Park (which includes a skate park and walking trail) and the Ohio River Greenway where locals and visitors can walk, cycle or simply relax and enjoy the views. 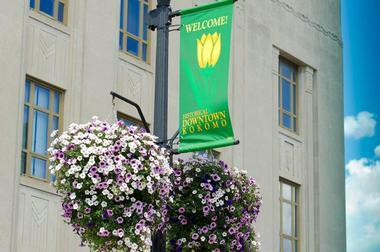 The Indiana city of Kokomo (named after a particularly brave Indian Chief) is located in Howard County where it offers a number of interesting attractions for visitors. 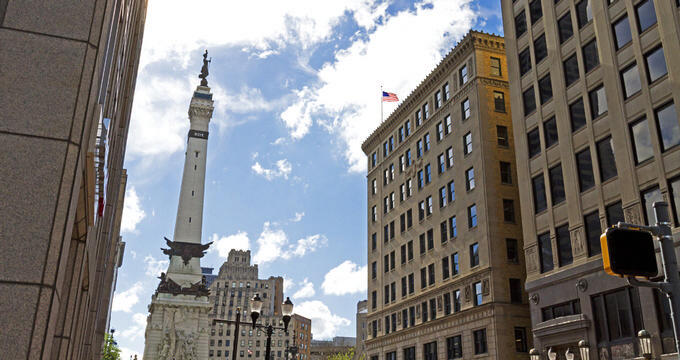 If you are interested in history you join a Historic Downtown Architecture Walking Tour (one of the oldest city monuments is the Giant Sycamore Stump which has a massive 57 foot diameter), visit the Rev. Dr. Martin Luther King Jr. Memorial and the Grissom Air Museum. If you prefer arts to history you can make your way to the Kokomo Arts Pavilion and the Solstice Art Gallery. Recreational activities include canoeing and kayaking at Kokomo Reservoir Park, water fun at the Kokomo Beach Family Aquatic Center and hiking and biking several city trails. 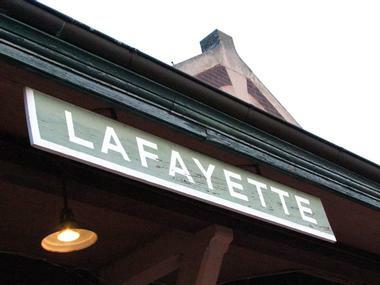 The twin cities of Lafayette and West Lafayette are home to Purdue University, three exciting village districts and a host of local attractions just waiting to be discovered. Start your visit by soaking up the lively atmosphere in Chauncey Village District and the Wabash Riverfront District. For museums, galleries and quaint boutiques you need to visit the Arts and Market District before exploring vibrant Downtown. There are many fun attractions for families starting with the Colombian Park Zoo and Wolf Park, as well as Exploration Acres Corn Maze, the Five Points Fire Station Museum and the hands-on Imagination Station children’s museum. Surrounded by rolling hills and limestone cliffs, Madison is an ideal place to stop and smell the roses as you take a scenic drive along the Ohio River Scenic Byway. Along with a welcoming small-town vibe Madison offers a variety of interesting attractions including historic sites, galleries, wineries, craft breweries and great antiquing. If you visit in July you can join the locals as they host several summer festivals and free music concerts in the park. Outdoor enthusiasts can spend a few days camping in Clifty Falls State Park which offers hiking, biking, boating, fishing and more against a beautiful backdrop of gorges and waterfalls. Try and be in Downtown on the Fourth Friday of each month for great shopping, dining, music, trolley rides and other entertainment. 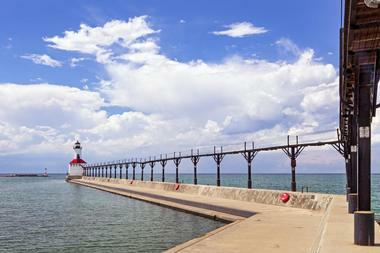 Michigan City is located along the south shores of Lake Michigan in northern Indiana. The city’s close proximity to Lake Michigan and the Indiana Dunes National Lake Shore make it a favorite destination for beach lovers and outdoor enthusiasts. Michigan City Beach is long, sandy and clean and boasts a lighthouse, some picnic areas and restrooms, while Washington Park is another popular place to soak up some sun, take a walk to the lighthouse or visit the Washington Park Zoo. Back in the city you can take a gallery tour to admire the thriving local art scene, visit the historic Barker Mansion, take on Lady Luck at the Blue Chip Casino or take a scenic cruise on the Lake Michigan. Located in Brown County Indiana, the little town of Nashville has been attracting artists and art lovers since the early 1900’s. Today the little town is a Mecca for art lovers who can spend days browsing studios and galleries for original Indiana artworks. Start by paying a visit to the T C Steele State Historic Site, located in the famous artist’s former home and gardens, before moving on to visit Brown Country Art Gallery as well as dozens of other noteworthy artists and crafter’s studios. History lovers can tour the Brown Country Pioneer Village and see the Old Log Jail. For a break from all things arty you can go hiking or biking in the Brown County State Park or prospecting at the Copperhead Creek Gem Mine. 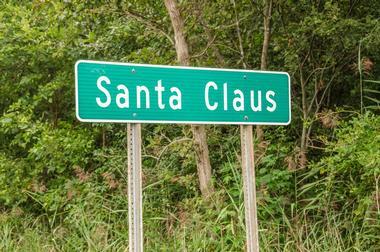 The town of Santa Claus is located in the heart of southwestern Indiana and attracts scores of families who come to enjoy a variety of Christmas themed attractions in summer. Make your first stop the Santa Claus Museum and Village where you can find out how the town got its name and visit the Santa Claus Post Office to post a letter to Santa. On East Christmas Boulevard you will find the Holiday World and Splashin’ Safari Theme park where the whole family can have days of fun riding the thrilling roller coasters and hurtling down some of the world’s longest water slides. You can bring along your RV and make the Lake Rudolf Campground and RV Resort your base for exploring all the fun in Santa Claus. 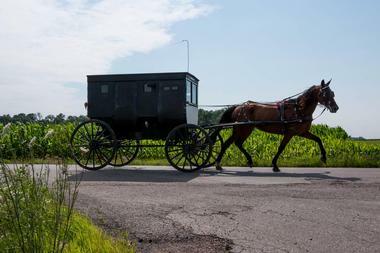 The quaint little town of Shipshewana is located in Grange County, in the heart of Amish country, where horse and buggies are still a common sight. Located on the famous Heritage Trail, Shipshewana makes a great base for exploring this historic area and is particularly suited for families. You can learn about Amish-Mennonite history and culture on an interactive tour of the Menno-Hof, before buying some original crafts to take home with you. Children will love visiting Dutch Creek Farm Animal Park and going on a horse and buggy ride, while parents can spend some time antiquing at the many flea markets and auctions. Nestled along the banks of the Wabash River along the western border of Indiana, historic Terre Haute is the capital of the Wabash Valley, offering an interesting mix of attractions for the whole family. Art lovers have several galleries to explore including the Sheldon Swope Art Museum and the University Art Gallery. Museums include the Candles Holocaust Museum, the Fire Police Museum and the Native American Museum in Dobbs Park. After a busy day of galleries and museums you can support the local performing arts scene or attend the Symphony at one of several city theatres. For outdoor fun you can head to Griffon Bike Park, Deming Park (disc golf, pool and sports fields), Fairbanks Park (boating and fishing) or Dobbs Park (walking and hiking). Located within easy reach of all the South Shore attractions of Lake Michigan, Valparaiso makes a good base from which to explore beaches, sea-side towns and outdoor activities in northern Indiana. The city has a number of historic buildings to admire, beautiful parks for walking and good shopping opportunities. For a dash of culture you can visit the Brauer Museum of Art or catch a show at the Chicago Street Theatre. The Shrine is a unique religious sculpture park which traces the Passion of Christ along a half-mile path filled with life-size sculptures. There are two craft breweries and a winery to visit and you are within easy driving distance of all the beautiful beaches of the Indiana Dunes National Lakeshore. 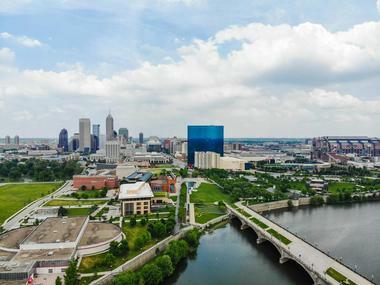 Offering unrivalled opportunities for culture and recreation right in the heart of downtown Indianapolis, White River State Park covers a mammoth 250 acres of beautifully landscaped gardens and waterways. The Visitor’s Center can tell you all about the individual park attractions as well as scheduled events and concerts. You can explore the park on foot along a number of paved walking (and cycling) trails including White River Promenade, Central Canal Walkway and historic Old Washington Street Bridge. Park highlights include the Indianapolis Zoo, Indiana State Museum, the Eiteljorg Museum (showcasing some of America’s best artists) and the IMAX Theatre at the Indiana State Museum.